The fire was contained to the kitchen area. MILFORD — A fire at the home of Angela Florentino, 502 W. Catherine St., Milford, was contained to the kitchen area Monday evening, Nov. 27. 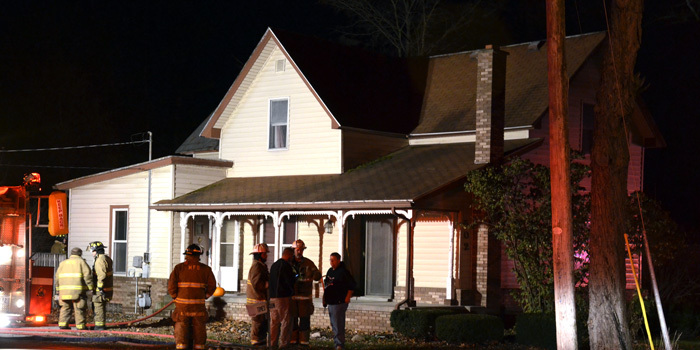 The fire was reported at 7:23 p.m. with smoke damage throughout the home. Milford Fire Department responded, calling for an assist from Leesburg/Plain Township Fire Department. Leesburg/Plain Township firefighters were advised to disregard the assist while en route. Milford Fire Chief Brian Haines reported the accidental fire started in the stove area. The fire was brought under control in 15 minutes. Red Cross officials were contacted to provide temporary housing for the two occupants of the home, who were able to escape with the family pet, without injury. Firefighters remained on the scene until 9:15 p.m. The home is owned by Homer Miller. Damage was estimated up to $10,000.